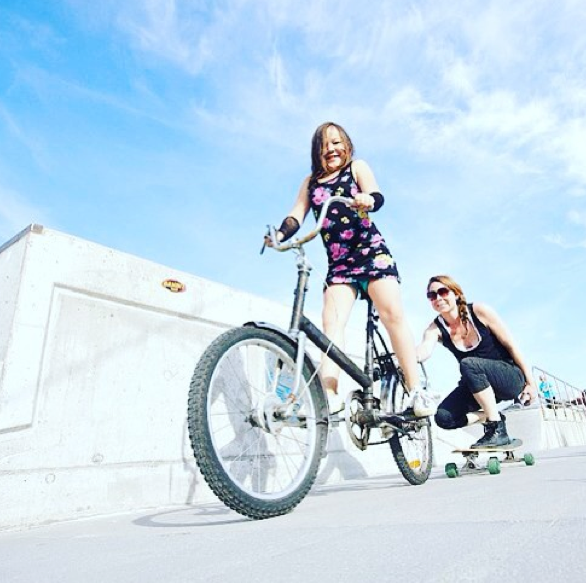 Mynta32 shows us she’s part of a rolling mother-daughter team! This is one of the most fun photos I’ve ever seen. More girls skateboard when they see girls skating so it makes sense that more girls will skateboard when they see their moms skateboarding. Keep it stylish on & off the board & when you can catch a ride!